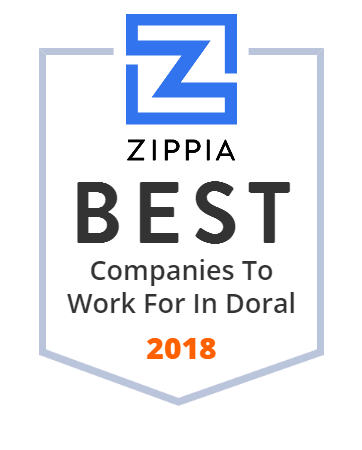 We hand-curated a list of the best companies to work for headquartered in and around Doral, FL using data on salaries, company financial health, and employee diversity. Providing tailored solutions to the financial needs of individuals, entrepreneurs, banking institutions, and businesses in South Florida and Latin America. Falcon Farms E Commerce, Inc. engages in growing and distributing flowers. The company offers rose bouquets for all occasions and mixed flower bouquets; vases, containers, and floral design supplies; and hand tied bouquet with vases included. It sells its products through an online store. The company was founded in 1987 and is based in Miami, Florida. SoEnergy is a Global energy services provider delivering customized solutions, including sale of energy, bridge and long-term power solutions worldwide. INTCOMEX Panamá, es el Mayorista numero uno de productos informáticos y tecnológicos en el país. Parte del Grupo Intcomex desde 1994. Savane International Corp. manufactures and markets apparel for men. Its products include men's dress slacks, casual bottoms, and casual pants, as well as sportswear. The company provides it is products through department and specialty stores in the United States. Savane International Corp. was formerly known as Farah Incorporated and changed its name to Savane International Corp. in 1998. The company was founded in 1920 and is based in El Paso, Texas. As of March 2005, Savane International Corp. operates as a subsidiary of Perry Ellis International Inc. Through our investing practices, we pursue investments in emerging companies with high growth potential. At True Spec Golf, we provide a first class club fitting experience with over 30,000 custom combinations. Located across North America, Europe and Asia.